Thats good work, John! If it helps to analyse what is bent where, the accident involved it being hit from behind at a slight angle by a Honda CB1100 motorcycle. The trike had just come out of a turning from the right, and the bike ran into it, so it may have been still at a slight angle. Bike was supposedly not exceeding the 30mph limit. As I said when we met, the main reason why it got abandoned in the shed, was because nobody could face up to dealing with it, and it took moving house to finally push me into facing it. You taking the project on is the best possible outcome for me, and I'm overjoyed that you are tackling it in this way. 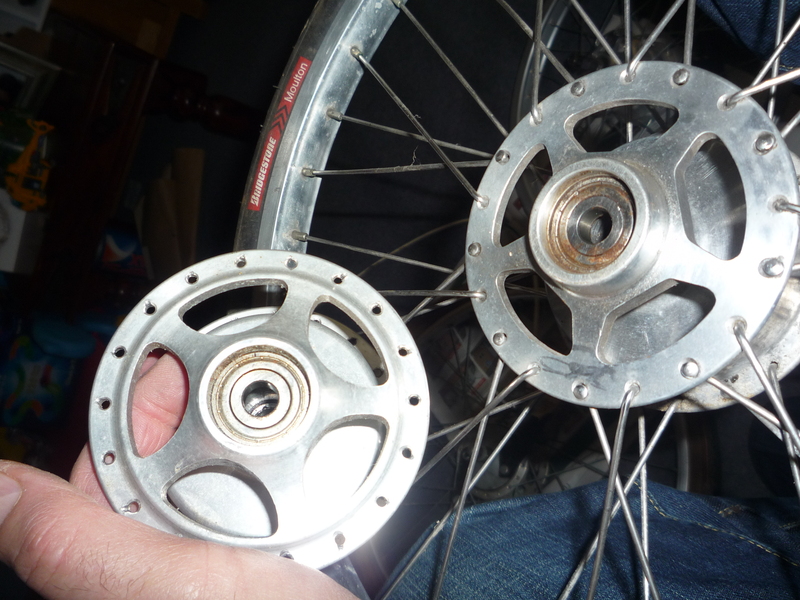 I like that rear hub, and its about what I would have done in the circumstances. When we eventually get the nod to move into our new home, I'll have a much bigger workshop inside a barn. Meanwhile, we're living in one room of a friend's house in very rural mid-Wales. Not very satisfactory, but hopefully our ambition will come through soon, and we may possibly be in our new home by Christmas! I remember this being offered and thinking that it seemed like a great project. Now I've seen the level of the work required and the equipment and skill you have, I'm glad it's your project. Fantastic work, keep going (and taking pictures). As you may be aware, I have access to two 'Seat of the Pants' 'Cheetahs, #s 176 & 216. The latter is sitting in the shop so reasonably accessible. If you need any pics or dimensions just call or PM and I will do what I can to help. I don't know if you have the seat but 216's is available if you want to take a mould off it and I can let you have the cushions to copy - I don't think anyone's going to want to buy it anytime soon. Can't let you have anything off #176, Redshift wouldn't be very happy! Comparison pics are possible. 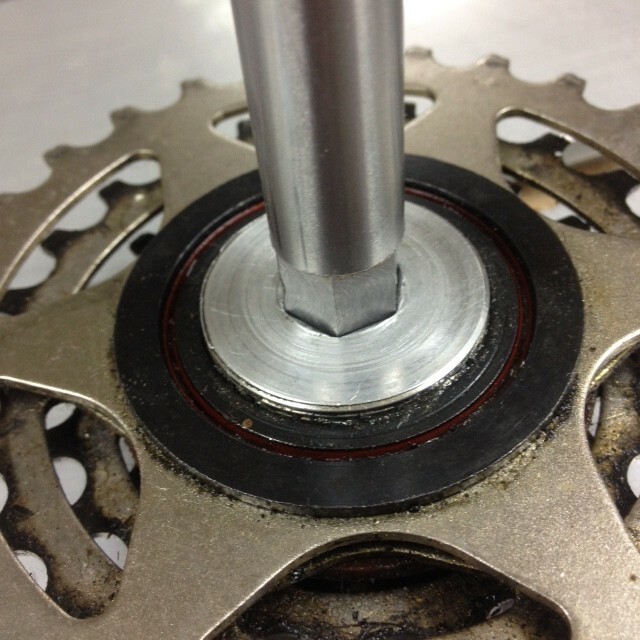 #216 is on a 7 speed freewheel, #176 is on a freehub and the axles are different. Just give me a shout if you need anything. Hi Torslanda. The Speedy is No. 209, and uses a 7 speed freewheel/block also. I have the seat. It has some damage, and some of this appears to be older, as it has been patched. Kevin at Dtek has offered the chance of looking at early Speedys and also the original drawings, so I already have a resource close by - he's only 3 miles away from where I work. 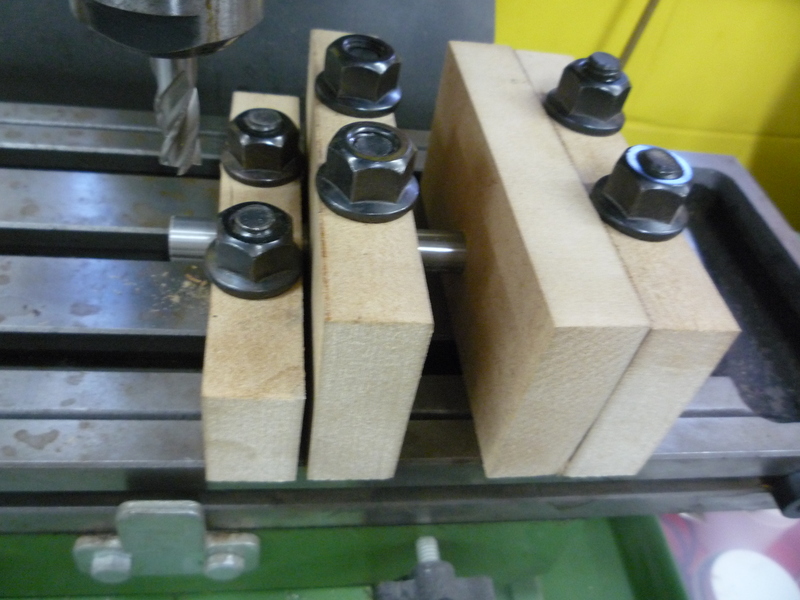 A jig for milling the hexagonal end of the axle has been made, and we are nearly ready to start machining. It probably won't get done this week as we are doing aluminium casting tomorrow, which means a bit of reorganising in the workshop - we only do this once or twice a year. 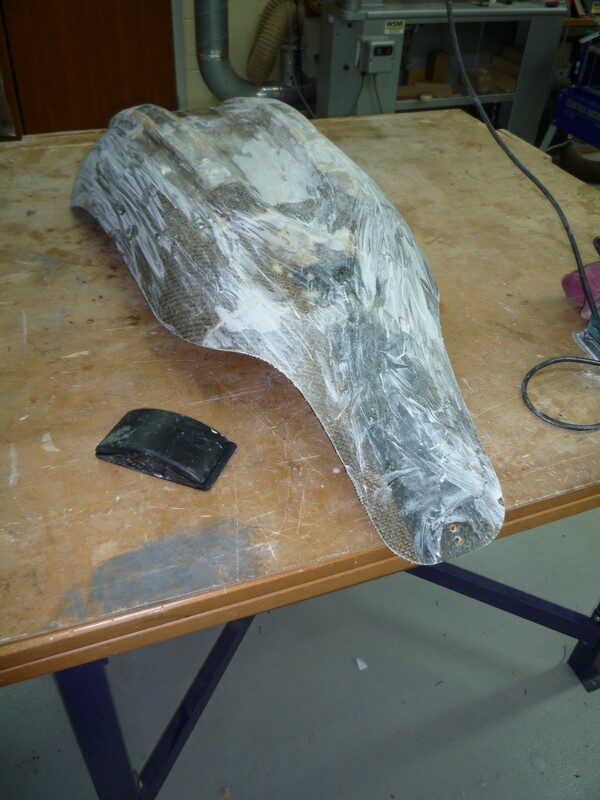 There is one part I would like to cast for the Speedy, but I havent made the pattern for it yet, so I can't fit it in with this round of pouring. 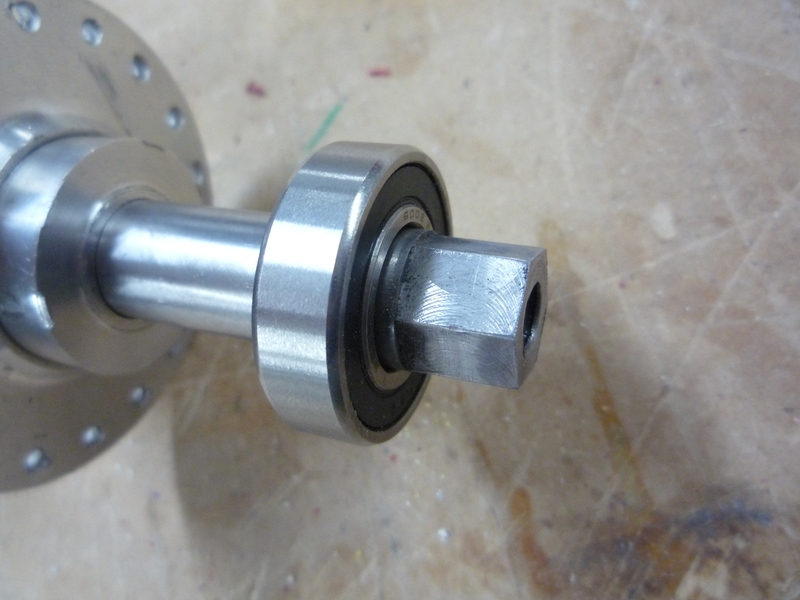 The next step is to unscrew the hub/disc mount from the block, rotate the spindle one hole and mill the next flat, and repeat - it's lucky disc mounts have 6 holes and I need to mill a hex end, isn't it? IIRC my grate frend Mr Woolrich, who built a Speedy from a kit, was the inventor of the hex spindle thingie as he wanted to use a cassette rather than the screw-on blocks which BurrowsCorp Intnl plc were still using. Mr Burrows said "that's clever" and nicked the idea. I regard this sort of thing as the same level of witchcraft that people seem to think I'm doing when I molish things with electronics. But, but, you can see what's happening with machines. You can't see electrons. What you do is def witchcraft. Like many things, it is a matter of trust. Give me a bubble in a spirit level, over the GPS-generated level in my iPhone any day of the week. The list of where the GPS generated level has the potential to go wrong, is a long one. The bubble, not so much. FWIW I'd use the iPhone to level something if I was mucking about. I'd use a bubble level if I was serious and wanted something to work. But, but, you can see what's happening with machines. You can't see electrons. 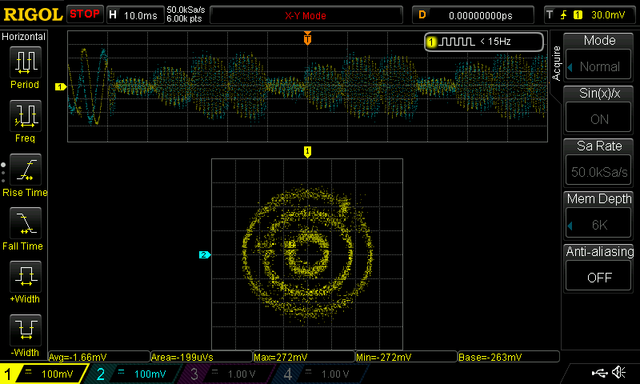 That's what oscilloscopes are for (and I'll accept that the modern ones are more than a little bit magic). Hardly comparable with the art of not making things slightly wonky. And yes, obviously a spirit level is more trustworthy, but not as practical as a device for sensing which orientation your phone should display its image. Talking of silly-scopes and witchcraft, have you had a go with Jerobeam Fenderson's Oscilloscope Music yet, Kim? Yes, you can actually get those animations on a CRO by playing the music stereo signal to the X & Y inputs! 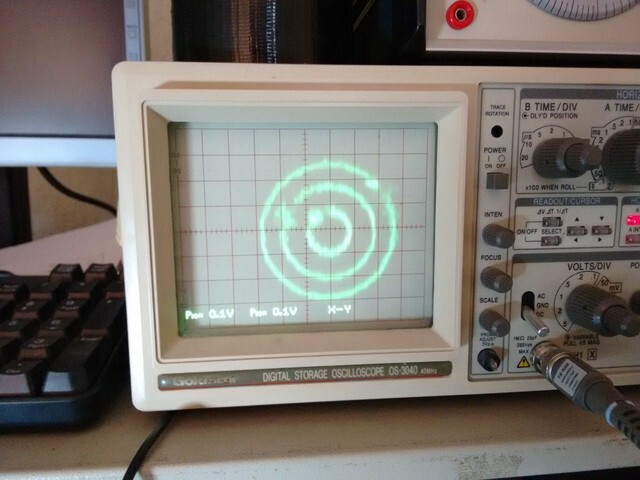 Talking of silly-scopes, have you had a go with Jerobeam Fenderson's Oscilloscope Music yet, Kim? That's one of the few bits that sort-of works on a digital scope. It's much better on analogue (the Goldstar scope is only part-time digital). Sorry - Didn't take camera to work, so only have crappy phone pictures. 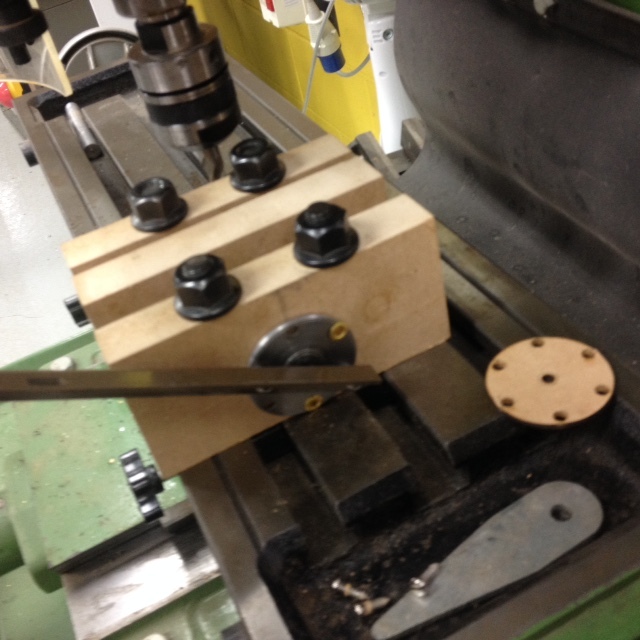 That's the laser-cut MDF template for the holes in the photo - I used it to get the pin spacing right too. 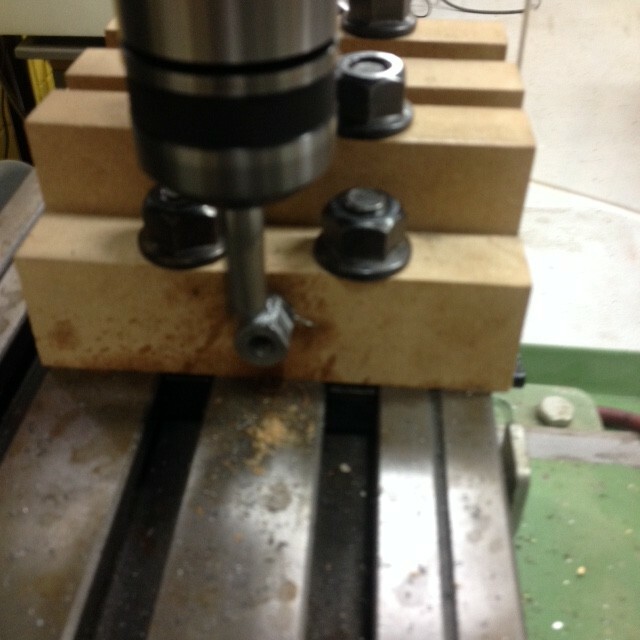 This allows the next face to be milled. A bit more snugily than the original, which is probably a good thing. 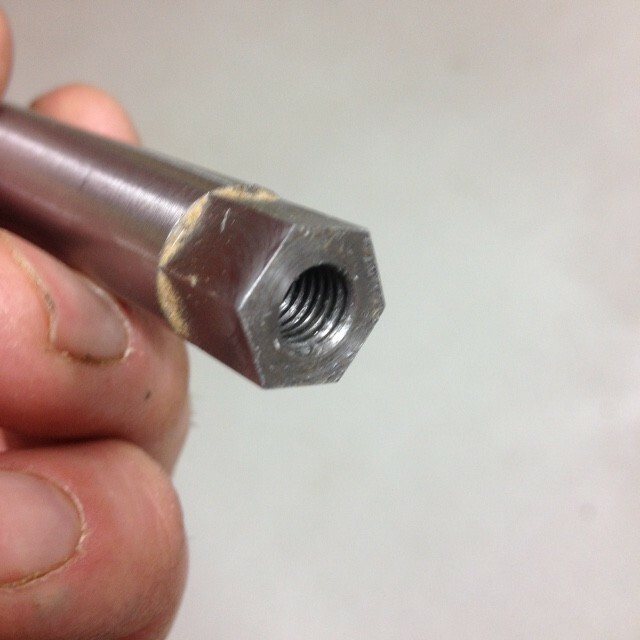 I think it's going pull on nicely when the socket screw and washer are used. 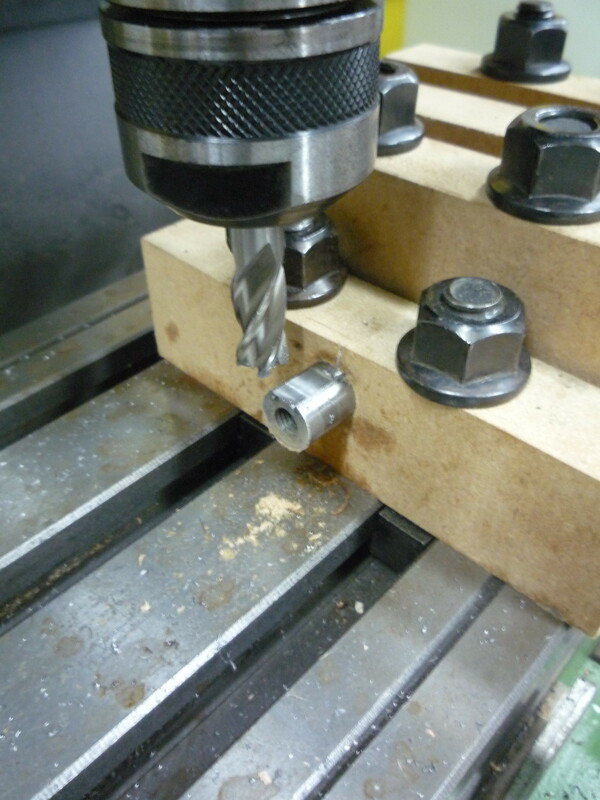 We also put the spindle back in the lathe to try to centre drill it to reduce weight. 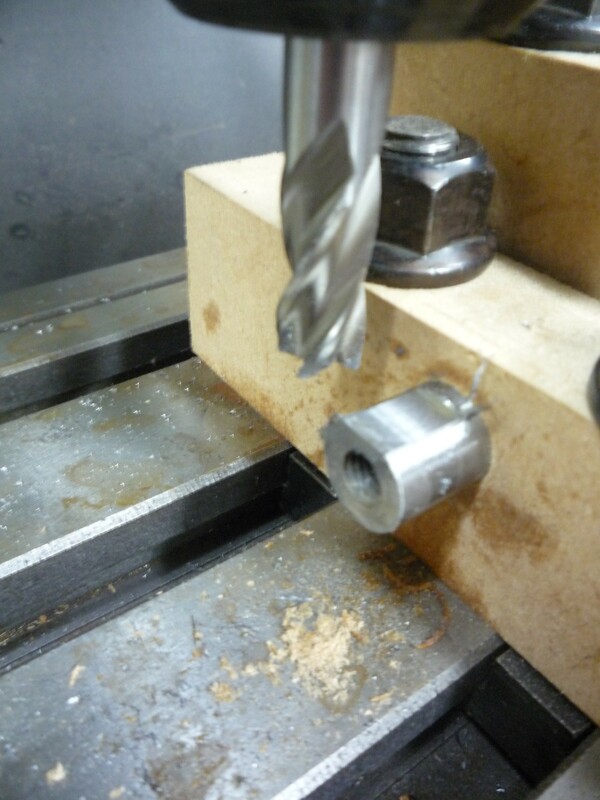 When I first tried this, I found the welding had hardened the high-carbon silver-steel used for the spindle. ... 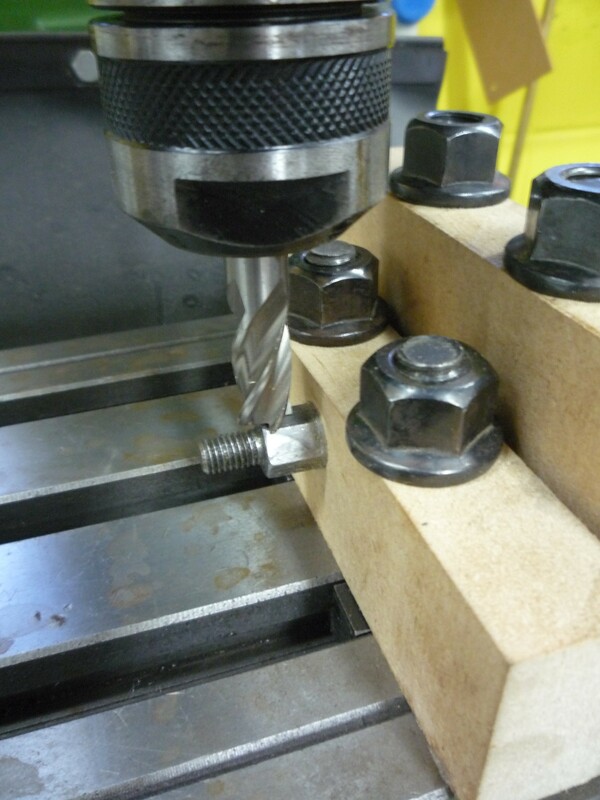 The cobalt drills hardly scratched the spindle - I'm just gonna have to put up with those extra grams. And envious of the result. Thanks, Jurek. That means alot to me. 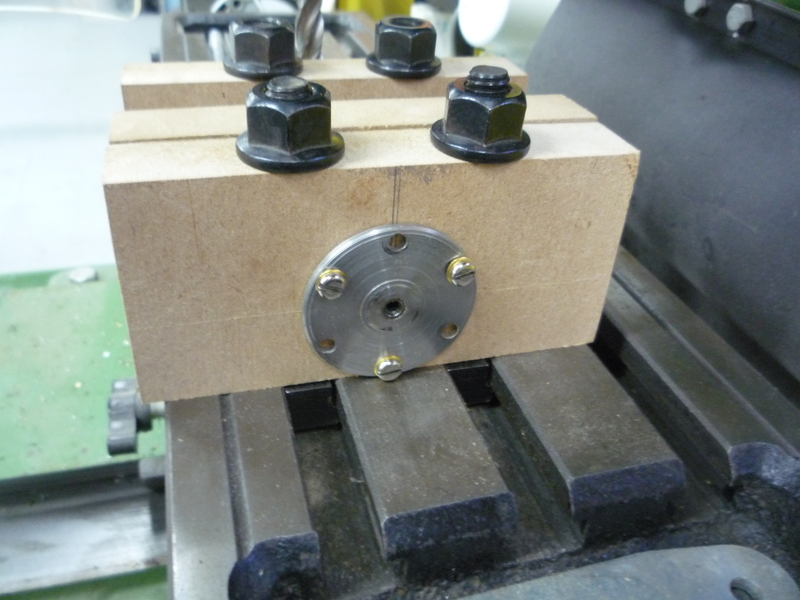 ...but also frustrated that I did the milling without using any measurements or measuring tools whatsoever (apart from an engineers square when bolting down the first MDF jig block). That just makes it more impressive. 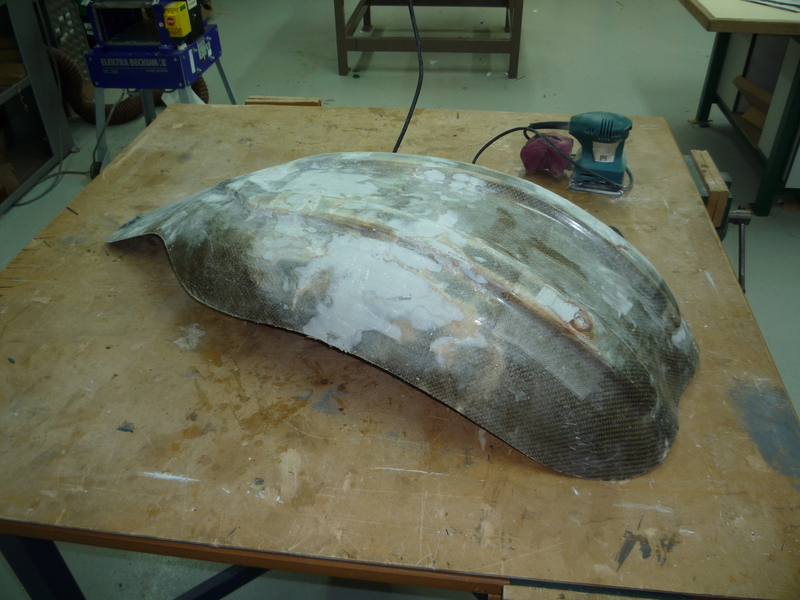 I'm sure I took photos of the seat when I started work on it, but I can't find them anywhere. There was a crack/split on one side and a few other impact cracks. 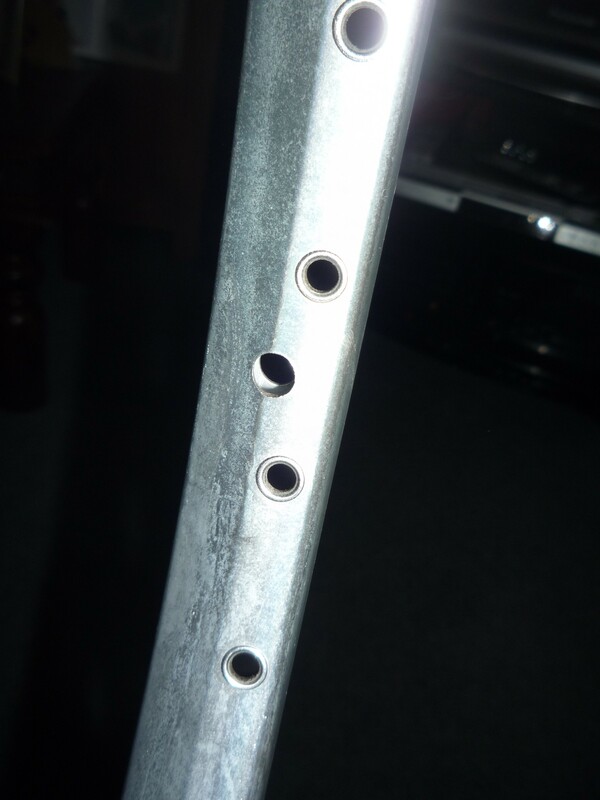 There were two sets of mounting holes, and there appeared to be a few places where the composite seat had been repaired previously. As I can use the heated school workshop during the holidays, I reinforced the splits/cracks with tape and epoxy, and used body filler to patch & fill areas that needed it. ...and started rubbing down with wet & dry. 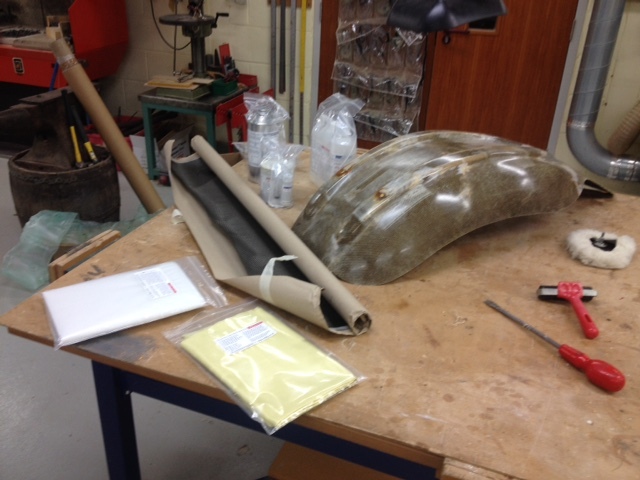 ...and carbon, kevlar, glass tissue and resins arrived. Just unpacked it and - it's an OCR rim. The hubs don't match either! 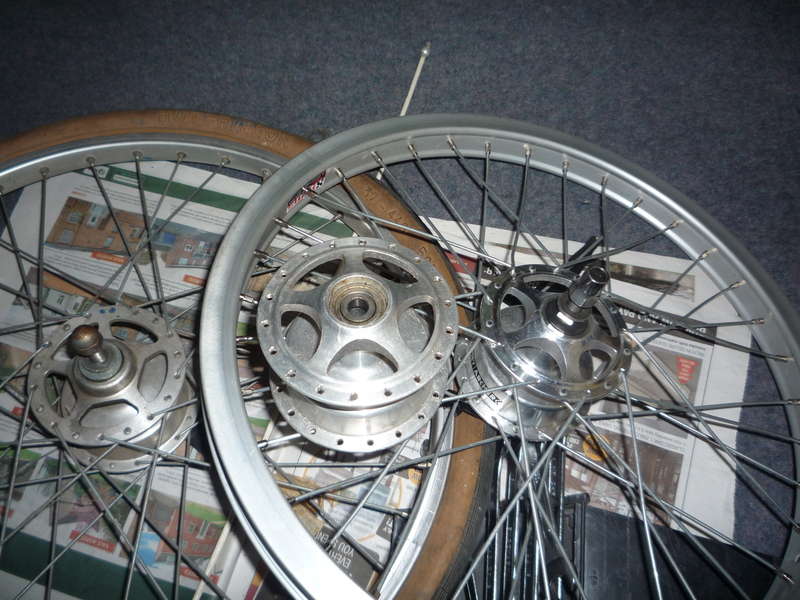 ...so, I rounded up the spare Sturmey hub brake wheels up from the workshop/store (don't you all have such wheels lurking around?). I had one of each type! 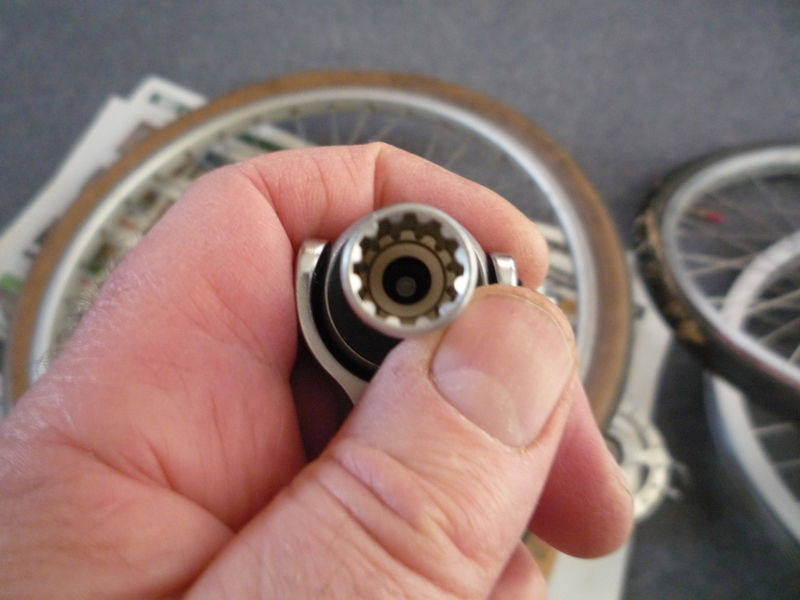 ...ARSE - the bike ones have smaller od bearings. So, it looks as if Wobbly John's gonna have a Wonky Windcheetah. ...Oh, and it was a chance to try out the new 1/4"drive socket set.